Draft: 1988, Pittsburgh Pirates, 8th rd. October 30, 2011 RHP Tim Wakefield elected free agency. October 19, 2009 Boston Red Sox activated RHP Tim Wakefield. 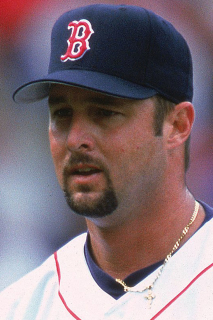 August 26, 2009 Tim Wakefield roster status changed by Boston Red Sox. August 15, 2009 sent RHP Tim Wakefield on a rehab assignment to Pawtucket Red Sox.